Peat moss can be a fantastic soil amendment that gets overlooked by other amendments. There are quite a few soil amendments on the market that gardeners can choose from, but peat moss is one of the most popular. It comes dry in a bag or larger bale, and once exposed to water, grows much bigger. Some gardeners confuse peat moss with compost and other soil additives. 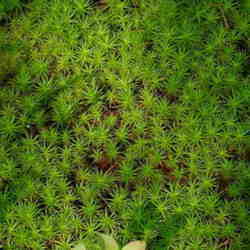 Peat moss is the living material that has died and decomposed in a peat bog. The living material in a peat bog is mostly moss, and it slowly decomposes because of the lack of air in the bog. It can take a long time for peat moss to form making it a non-renewable resource. 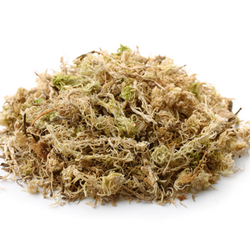 There are a number of benefits that come from using peat moss. One is that it’s lightweight and has an airy texture. This is perfect if you’re looking to reduce the density of your soil. More often than not, you want some looseness to your soil as overly compacted soil makes it difficult for anything other than weeds to survive, choking and compressing delicate plant roots. Other organisms that are helpful in the garden like earthworms and insects will also perform best when you've taken steps to avoid soil compaction. It’s also great if you happen to want to container garden, and want your containers to not be so heavy in case you need to lift them or hang them up. It may seem like if the material is lightweight it will compact down over time, but peat moss retains its springy nature. If it does start to get smashed down, you can add water and it will rehydrate and get this property back. Another benefit is that it absorbs water and slowly releases it. This benefit is one that makes it a favorite of gardeners, especially those that aren’t great about watering or live in more arid areas. Peat moss is an excellent seed starter material for this very reason. Combining the absorbent quality with the airy texture, seeds and seedlings have no issue with their roots being able to spread and avoiding suffocation. A final benefit to peat moss is that it’s safe to introduce to your garden or containers. Some soil amendments that you use may have harmful elements in them. They may have bugs, pathogens, seeds from weeds, bacteria and more that you add to your soil. Peat moss doesn’t have these surprises in it. There are a few issues with peat moss. Peat moss has been getting a bit of a bad reputation even for all of the benefits it offers to the garden. One is that the way it is harvested may not be sustainable, and can damage fragile ecosystems. Many gardeners don’t want to harm one area to help their garden. If you still want the benefits of peat moss, you can either find a brand that’s dedicated to sustainable harvesting or check out a peat moss alternative. Another pitfall is that it can make your soil acidic, which is fine if you’re growing blueberries or hydrangea, but may not be ideal for other plants. Testing your soil can be helpful after adding peat moss to prevent problems. A solution if you want to keep using peat moss is to add lime. Lime will help to get your pH where it needs to be. A final issue that some have with peat moss is the cost. It can be expensive compared to other soil amendments, especially if you need a large amount. The best way to combat this is to watch for sales at your local garden center or home improvement store. You could also buy less and combine several soil amendments to reduce the cost while still seeing the benefits that come from peat moss. Most gardeners prefer to use peat moss for small projects, such as seed starting due to some of the pitfalls. For acidic plants like blueberries, peat moss is an excellent choice. You’ll want to mix equal parts peat moss and compost to plant the blueberries in as this best mimics the conditions they need to grow successfully. For seed starting, you can use straight peat moss or blend it with perlite, sand, or vermiculite. For containers, you’ll want to mix up your soil, peat moss, and even add some perlite or vermiculite if you need a lighter mix for hanging containers. Some gardeners are choosing to avoid using peat moss in the garden, but they still want a soil additive that offers similar benefits. The good news is that if you’re unable to locate sustainably sourced peat moss there are alternatives. Coco coir offers many of the same benefits of peat moss. Other alternatives include sawdust, compost, and by-products of the food industry. Each of these alternatives has their pluses and minuses, so it can be helpful to explore them to see if they’re right for your gardening needs. Peat moss is a pretty amazing garden soil amendment. All of the benefits it offers makes it a top choice for gardeners for seed starting, seedlings, containers, and acidic-soil-loving plants. For larger projects, there are some great peat moss alternatives that you can use to mitigate the guilt over using peat moss. 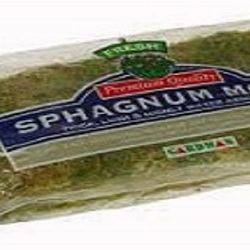 Benefits of Peat Moss as Part of a Soil Mix Using safe gardening practices Sphagnum Peat Moss - Is It Just a Memory?